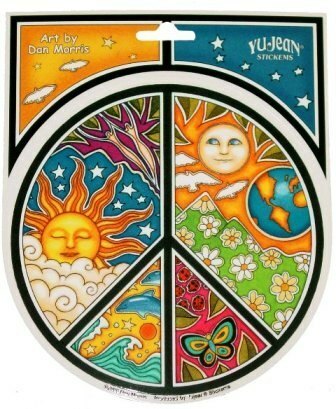 Unique peace sticker designed by artist Dan Morris. Approx. 4.75" round. Look for other Dan Morris inspired stickers in our sticker department.